SCAS network manager Dr. Rainer Henking of EurA AG gave an interview to the German Maritime Center at the Maritime Research Forum (4th – 7th of September 2018) about “SCAS Systems and Components for Autonomous Ships”. 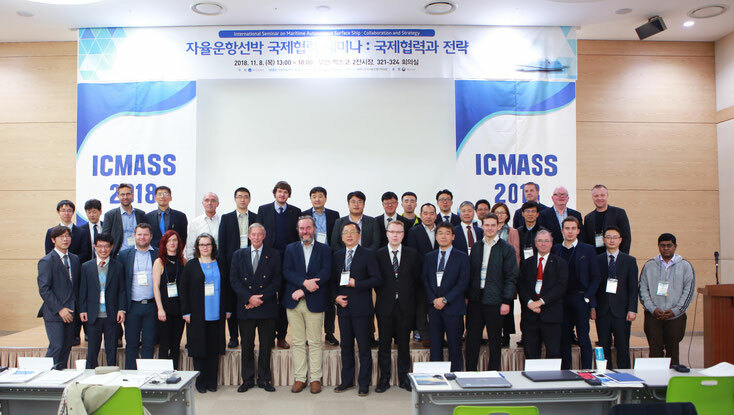 The innovation network SCAS - "Systems and Components for Autonomous Ships" led by EurA AG was represented with a presentation at the ICMASS 2018 (1st International Conference of Maritime Autonomous Surface Ships) in Busan, R. o. Korea. On 08 and 09 November the 1st International Conference of Maritime Autonomous Surface Ships took place in Busan, South Korea. The organizer was INAS, the International Network for Autonomous Ships. In 46 lectures on scientific and industrial topics, more than 100 guests were able to inform themselves about the state of autonomous shipping worldwide. Particular attention was paid to the worldwide pilot project, Yara Birkeland, which is expected to start autonomous operation between the ports of Heroya, Brevik and Larvik in 2022. It became clear that the upstream and downstream logistics chains must also be taken into account and integrated if the transformation to autonomous transport systems is to succeed. A total of 11 nations were represented with lectures. Hans-Christoph Burmeister from Germany presented the project "MASS Technology Development by Means of Ship Handling Simulation" and the network manager Rainer Henking reported about the ZIM network "SCAS - Systems and Components for Autonomous Ships" which is managed by EurA. Subsequently, there were first concrete inquiries regarding the companies represented in the network. In addition to the conference, a workshop was held on test areas for autonomous ships. First experiences from Norway, Finland, Belgium and Great Britain as well as possible guidelines for the operation of the test areas were discussed. These guidelines are necessary to ensure the comparability of results worldwide.